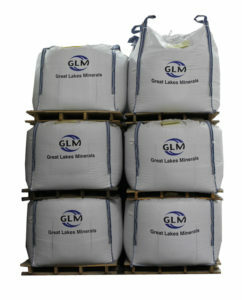 Great Lakes Minerals, LLC is a processor and supplier of raw minerals. They are a leading processor of alumina based minerals specific to the refractory and abrasive markets. Common applications where GLM’s products are used include blasting media, sandpaper, coatings, surface preparation and more. Great Lakes Minerals approached Ki with a unique objective. They had never used the web to generate business. We took on the challenge. Starting with a website that took 25 seconds to load, barely any photography, few pages of content and no web presence, Ki pushed GLM into the search results and into the online market. Re-Worked WordPress website – Increase load speeds, add SEO plugins, implement Schema, etc. Within 3 months Great Lakes Minerals began to show up in the search results for some of their core keyword phrases like Calcined Bauxite and Browned Fused Alumina Supplier. The site also started to increase in traffic and began to generate inbound leads for the first time ever. Within a year GLM’s website had reflected a 17 fold increase in traffic and was generating dozens of leads a month, making the initial challenge a success. Are you interested in learning more about how Kashmer Interactive can help your business grow revenue & leads online? Contact Us Today!